Did High Pixels Makes Phone Camera Take Better Pictures? Did high pixels makes your phone camera take better pictures? Home » OTHERS » Did high pixels makes your phone camera take better pictures? Needless to say that camera has become one of the most important part in smart phone nowadays, which is also an important consideration when consumers buying a smartphone. However there is a misunderstanding among many people that the camera photos quality will be better when the cell phone pixels is higher. Here we are going to explain what exactly affected most to the camera photos quality. The picture below shows the structure of the main components. The main parts of camera are the PCB board, CMOS image sensor and the camera lenses. The PCB is shorted for the printed circuit board, which is used to support the components and connect electrical signal. 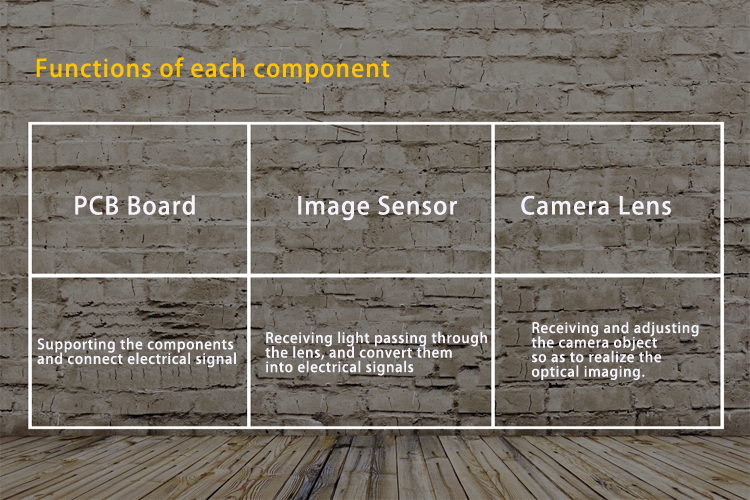 The CMOS image sensor is used to receive light passing through the lens, and convert them into electrical signals. And the camera lenses is used to receive and adjust the camera object so as to realize the optical imaging. 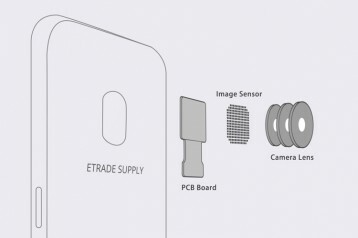 So what is the cell phone camera pixels? We’ll find that many cell phone manufacturer are committed to increase their phones pixels, however is it true that more pixels equal higher camera photos quality? To realize the truth we need to know these involving factors--pixels, CMOS image sensor size and the single pixel size. The image sensor is in a rectangle shape and the pixels is just like the small square grid, each small square grid is a single pixel, more square grid means higher pixels and the single pixel size is smaller when the image sensor is under a certain size. 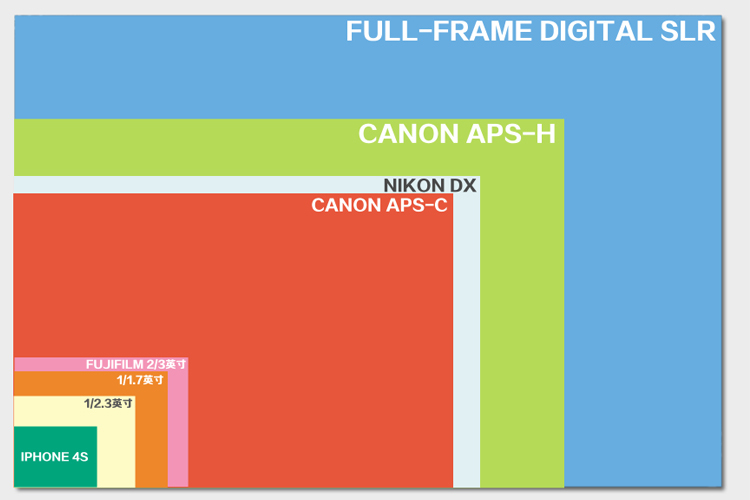 And the bigger the image sensor size, more light can be received and the higher the photo image quality. 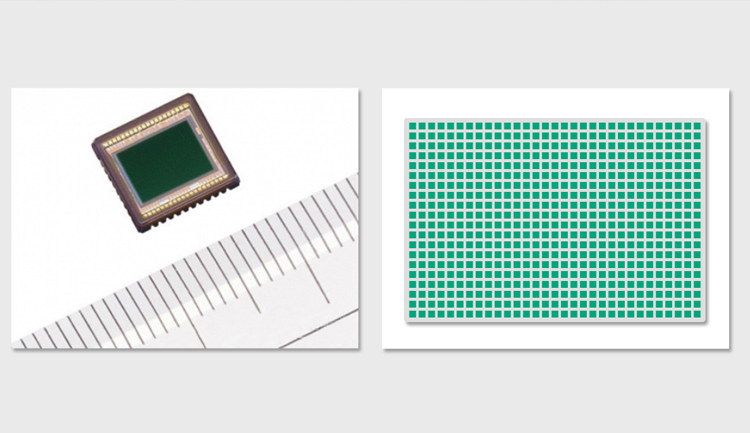 The mainstream image sensor size of a flagship smart phone is 1/3 inches. Like the iPhone 4S, 5, 5C, which features 1/3.2 inches while for iPhone 5S, 6, 6 Plus, 1/3 inches image sensor has been adopted. Compared with the SLR camera, the Full Frame Digital Camera is about 35 times of the 1/3 inches image sensor. And for the single pixel, the mainstream mobile phone camera pixel are is 1.12um and 1.4um at the moment. Using the same generation technology, if the single pixel can receive more lights when its size getting bigger, better image quality, better noise control and dynamic range performance it will be. The picture below for the iPhone pixel size is from Apple’s official website. From which we can tell even though iPhone’s camera pixels is lower than many other smart phones, however the photos quality is higher, meanwhile the single pixel size is bigger than the mainstream pixels. From the above, we can see that there is still a long way to go that the cell phone camera competed with the SLR camera like the cellphone manufacturer advertised. 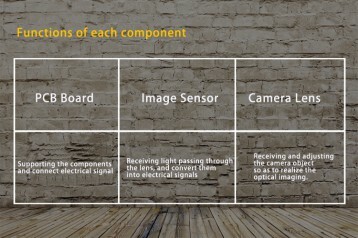 And we can see that the number of camera pixels that most of us concerned is not the direct factor affecting the image quality most, more advanced and larger size image sensor, lens module, manufacturers of software set-up and equipped with optical image stabilization technology are the most important factors to mobile imaging quality. – What role does the aperture size play in picture quality ? – What does 1.12 um stand for ? whats the abbreviation ? Hi Faysal, the picture has a high-quality if the pixel size is bigger. The um is short of Micrometre.